new york times | Error Ink. 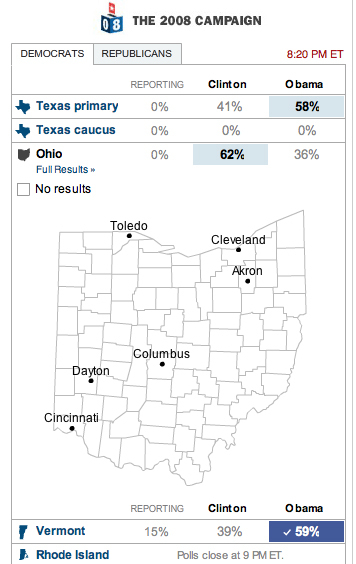 As per the New York Times website at 8:20 p.m. Obama wins Vermont, and is projected to take Texas and Clinton projected to win Ohio. Polls close in Rhode Island at 9 p.m.